You are here: Home » News » Product Knowledge » What problems should be paid attention to when using reinforcement wire mesh welding mesh machine? What problems should be paid attention to when using reinforcement wire mesh welding mesh machine? 8.Mechanical transmission components of reinforcement wire mesh welding machine are damaged and repaired in time. Please contact the manufacturer as soon as possible for the electrical control section. 9.Do not open the control box when power is on. Do not touch the internal components by hand to avoid electric shock. 10.When checking the internal wiring and control panel wiring, be sure to turn off the power. 11.Do not touch the components inside the control panel, otherwise the components may be damaged. 12.Do not change the potentiometer settings on the control panel. 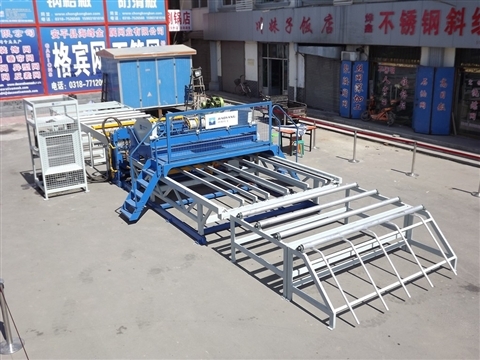 13.The control box of reinforcement wire mesh welding machine is connected to the cooling water and ensures adequate flow of cooling water and pressure. Check the cooling system regularly. 14.Periodically (once a month) Check the wiring inside the power box.